Subtle sage and fall apple are the perfect flavour pairing for cozy winter dinners. Prep and freeze up to 3 weeks ahead, then bake in a large casserole dish to serve on the side. Boil celery for 3 minutes in Broth. 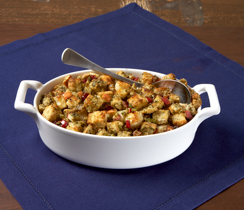 In a large mixing bowl, combine bread, apple, and Sage & Apple Stuffing Seasoning. Pour Broth mixture over bread mixture, and stir to combine. In a large, lightly buttered casserole dish, bake until golden, approximately 25 minutes. 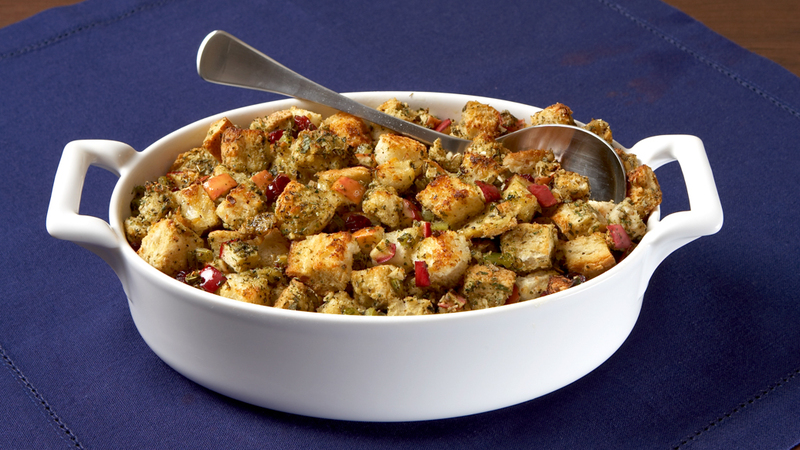 Chef Tip: Add 1 C (250 ml) dried sweet cranberries to your stuffing for that extra sweet and savoury kick! Serve with chicken, turkey, or pork. Quick Tip: To make a half batch, in (p.1004212), steam half the celery with 1/2 C (125 ml) prepared Broth. Transfer to a heat-proof serving dish. 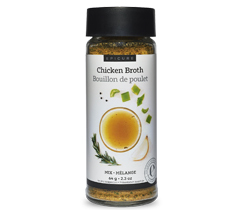 Mix in 1/2 C (125 ml) Broth and half all remaining ingredients. Bake, and serve: fewer dishes, less mess! Health Tip: Compared to store-bought, Epicure Sage & Apple Stuffing could save you almost 700 mg of sodium per cup! Enjoy this traditional dish knowing you are serving something both delicious and healthy.